All of these posed quite a spectacle to passersby and onlookers. More than just a gathering, the 2018 Ducati Monster Day celebrates the 25th anniversary of this particular model line from the Italian brand, having been in production since 1993. The Monster is one of Ducati’s most iconic and famous models, thanks to its muscly design and powerful V-twin engine. The Monster’s engine displacement starts from the entry-level 400cc, up to the high-end, truly monstrous 1,200cc machine. 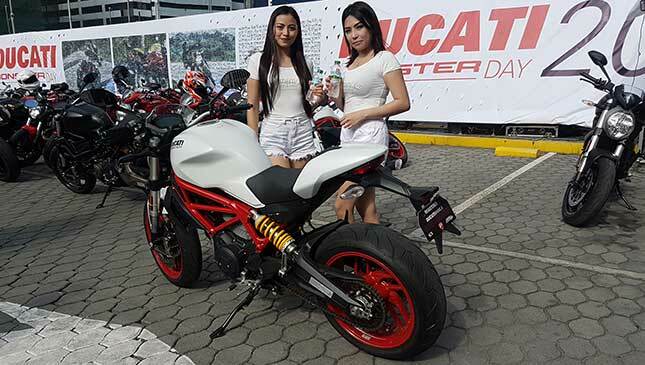 Jointly organized by Ducati Philippines and Ducati Unlimited Club, the Monster Day began early in the afternoon with riders joining the Monsterista motorcade. 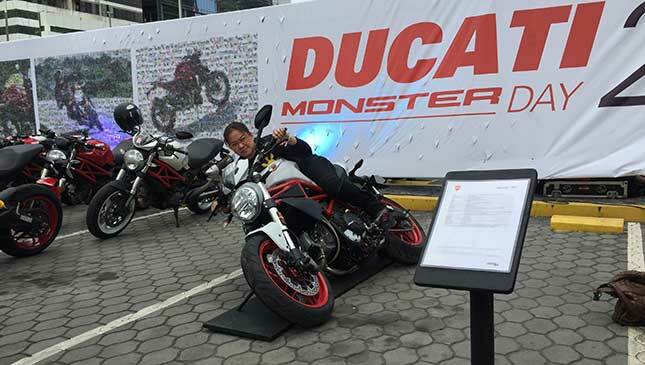 The Monsters were far from the only bikes to show up, however, because it seemed that the entire Ducati community arrived in full force to celebrate the event. 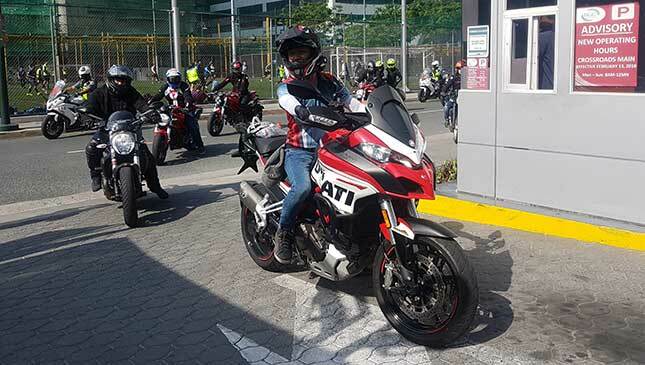 The parking lot was filled with a smorgasbord of Ducati bikes that also included the Multistrada, a commanding adventure bike; the Diavel, a burly cruiser; and the Hypermotard, a versatile supermotard. Those in attendance were diverse as well: Young and old riders, wives, girlfriends, kids, friends, and the occasional passerby checking out the angry-sounding red motorcycles. There were celebrities in attendance. too. 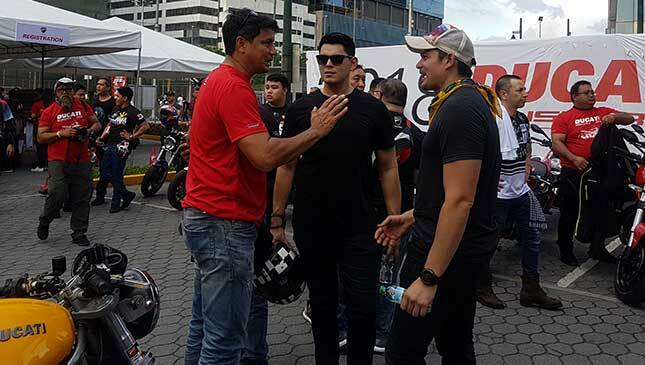 Showbiz personalities Richard Gutierrez, Richard Gomez, as well as Dingdong Dantes rolled up to Monster Day on their respective Ducatis. 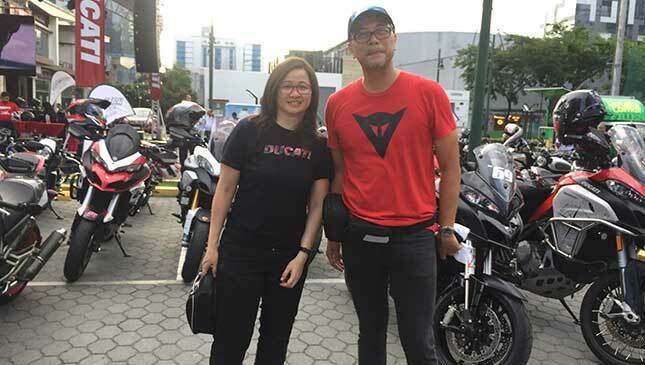 Joy Alberto, Ducati Philippines vice president for finance, was also present to lead celebration. 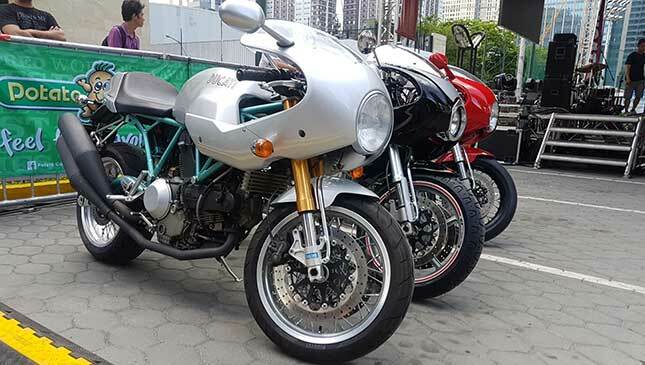 Aside from this elite riders' community that was formed around this phenomenal naked bike, Alberto is also very proud of the Ducati motorcycles that grew tremendously in numbers since the first Monster Day celebration was held locally in 2010. She began her love affair with motorcycles sometime in the early '90s. Back then, and even now, the closest Ducati bike to her heart is the Monster. Thanks to the bike’s looks, ergonomics, stance, and character, she now considers herself a Monsterista through and through. Other owners at the event are just as enraptured with the Italian icon. Riding couple Raymon and Malou Gabriel have owned Monsters for several years now. 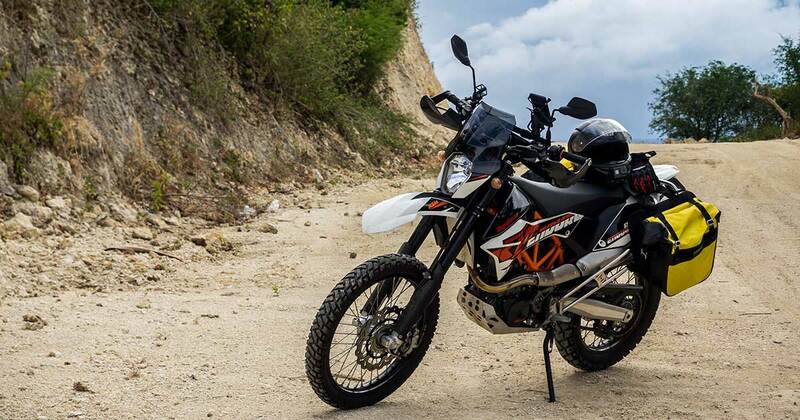 Malou is all praises for this machine, which she described as having responsive throttle, powerful acceleration, dependable brakes, and other advanced safety features. According to Raymon, one of their sons is starting to show interest in riding the Monster as well. And thankfully, the young Gabriel had his mom’s blessing. Bong Gloria, a heart surgeon who is a close friend of the Gabriels, is a proud member of the Red Brigade. His dexterous, deft hands have been wrapped around the handlebars of a Ducati ever since he got his first bike, a Monster 796. Gloria says the Monster has been his dream bike since childhood. 'Doc Bong' has leveled up now so he rides a mighty Monster 1200 S.
Joining the Monster Day was like being in one big high school reunion, where everybody knows each other. Everyone braved the extreme afternoon heat, endlessly exchanging notes about the bikes and group rides, while a rock band provided entertainment from a makeshift stage. To cool down the guests, an event staffer handed out cold water bottles and yummy gelato. For those who preferred red hot food like the Ducati bikes, the place was flooded with spicy nachos compliments of Ducati PH. Are you starting to see red and thinking of joining the club?